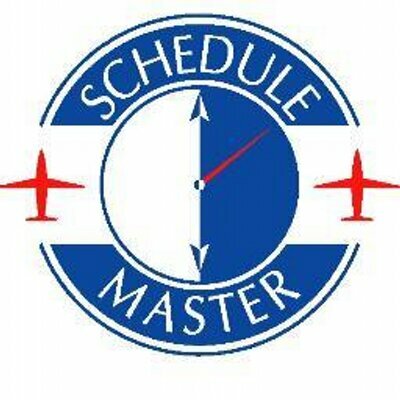 Question: I recently activated the Online Billing feature on my Schedule Master account, what are my next steps to get it working? The following data needs to be set up. Some of this may have been set in the automated setup. And, some may need to be set directly in the tables by Time Sync. 1. Enter billing information for each aircraft in the billing section of the aircraft edit screen (Resource >> Aircraft). The meter type will default to hobbs. The owner is only relevant if using owner statements. The QB Class Name is only relevant if downloading summary accounting data to Quick Books. 2. Enter aircraft rental rates and owner income/pay rates (if using owner statements). To get there select Resource >> Rates from the menu. If you have more than one price level (e.g. Member rate, Nonmember rate), contact Time Sync to add the additional price levels before entering the rates. Be sure to enter a rate for each aircraft and each price level. Also, be sure the effective date of the first date is on or before the first schedule you intend to bill. The standard rate may already be input if you had rate information in the system. 3. Assign price levels to users. If any bulk updates are needed, let us know. 4. Customize postflight as needed. Various options can be customized for the postflight in the Group Options screen (as seen in the image below). You can get there from the menu by selecting Admin >> System Admin >> Group Options. There are various configuration options for dues in terms of calculating the amount, creating the invoices, and collecting the money for dues. Let us know how you want this configured. A dues item can be selected in the user profile from a list of dues items. These items will have a description and rate that is set in the item list. See the following article for instructions on setting up the items: Maintaining Items and Accounts This method allows you to maintain dues rates in a short item list so that it is easy to change the rates if they change. Or, an amount can be entered into the user profile. This gives the most flexibility on charging any dues amount to any user, but it requires maintaining each rate for each user. If using this option, a single dues item should be set up with the description and no rate. Or, a custom procedure can be written to determine dues from any field in the database. Let us know if you need a quote for this option. Dues invoicing can be kicked off from a menu by an administrator. Dues invoicing can be scheduled to run automatically on a specific day each month (or whatever schedule is needed). There are also different options for how the dues get paid. Dues can be put on the user's account and paid at the user's discretion. Or, if using credit card or eCheck, dues can be charged to the user's card or account during the invoicing process. If you need help in coming up with the correct information based on your requirements, or if you have questions regarding the required information, please do not hesitate to contact us at support@timesync.zendesk.com or open a ticket here at Zendesk and we will respond to you within one business day.